Take a closer look at What in the World is Music? What in the World is Music? is an interactive electronic textbook/print book package designed for the World Music undergraduate survey course or for a Music Appreciation course more inclusive than the traditional survey of Western music history. Want to learn more? 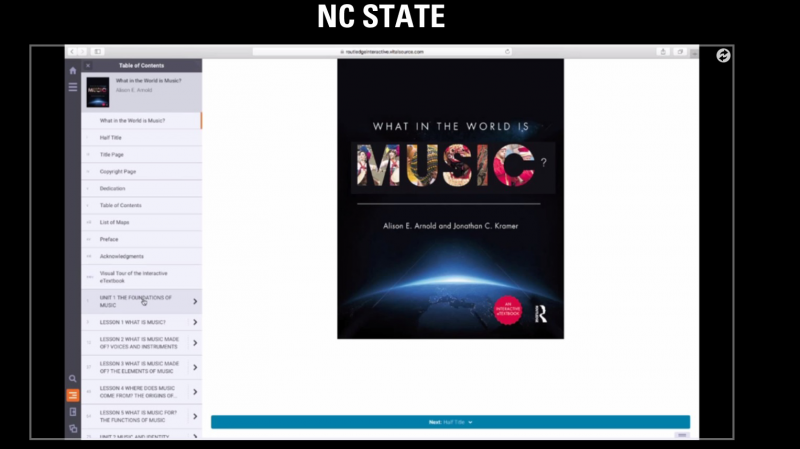 Click below to watch an informational video created by author's Alison E. Arnold and Jonathan C. Kramer, wherein they demonstrate how to use the interactive e-textbook.